This beer is rich and black. 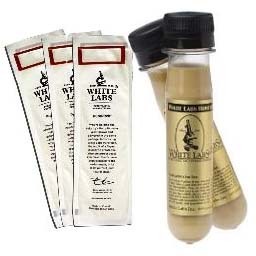 It is slightly sweet with a finishing dryness comes from Roasted Barley and black malts. The water should be hard and buttery flavors from the yeast are typical. Dissolve gypsum in 1 gal. water which will be used for mash. Mash all grains at 160oF or 30 min. Sparge with 1 gal. water at 170oF. Add malt & NB Hops. Boil for 60 min. adding 1/2 oz. Fuggles at 50 min. mark. Strain into fermenter filled with 3 gal. ice cold water. Pitch yeast when cooled to 80oF or lower. 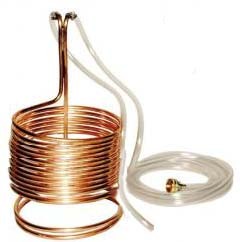 Copper Immersion Wort Chiller 50 ft.